ACIDIC COMEDY ASKS: IS COURTESY JUST A WASTE OF TIME FOR THE WEAK? In the intimate space of their Studio Theatre, The People’s Theatre will be presenting The God Of Carnage, a funny and razor-sharp study of the tension between polite appearances and the savagery that lurks beneath. Two successful middle-class couples meet to discuss an incident involving their young sons in the local park. But this superficially civilised get-together soon degenerates into a grotesque ballet of shifting loyalties and fractious emotions. Playwright Yasmina Reza (Art, Life x 3) is famous for holding a mirror up to bourgeois hypocrisy. Her exquisitely acidic dialogue burns through her characters smug veneers with both comic and uncomfortable consequences. The original French is translated by playwright, film director and long-time collaborator of Reza’s, Christopher Hampton, into a wonderfully English dissection of social pretense. Niceties and forced bonhomie give way to raised voices and honest opinions, as the gloves come off and the adults become the children. 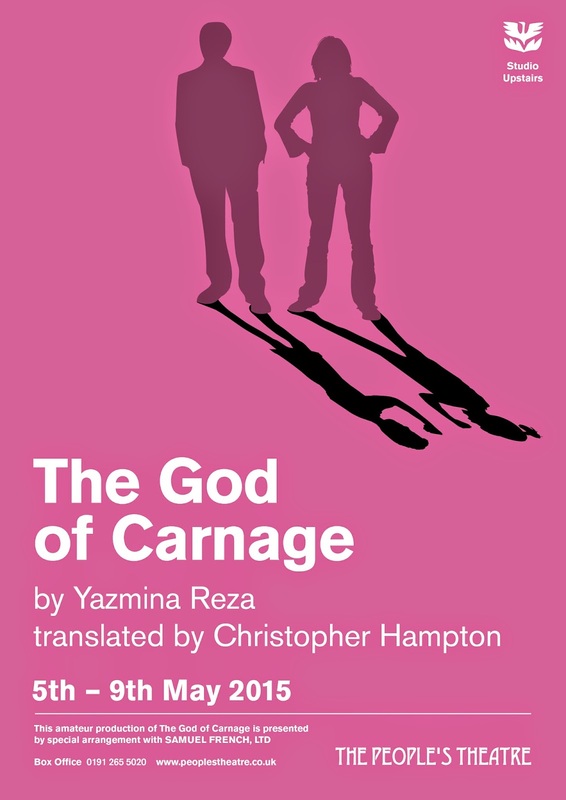 One of the most acclaimed European plays of recent years, The God Of Carnage wowed West End and Broadway audiences, winning the 2009 Olivier Award for Best Comedy and Tony Award for Best Play. Film fans may know 2011’s Carnagestarring Jodie Foster and Kate Winslet. We are proud to give this modern classic a rare outing in the region. Our Studio Theatre productions are always popular and we recommend booking early to avoid disappointment.